ROME, Italy—Prevention is better than a cure: that is just common sense. If applied in the field of justice, the slogan could prove once again to be right: the mediation instrument resolves conflicts before they go in front of a judge. Italy is a quarrelsome country, and the engulfed courtrooms are a proof. The European Commission has recently pointed out some serious shortcomings: Italy has the highest number of pending cases in relation to the population – 7 per 100 inhabitants, which means 9 million unresolved cases. Also, it takes more than 500 days to get a civil judgment at first degree (World Bank doubles this number), three times longer than France and Germany, which rank as the best in Europe. 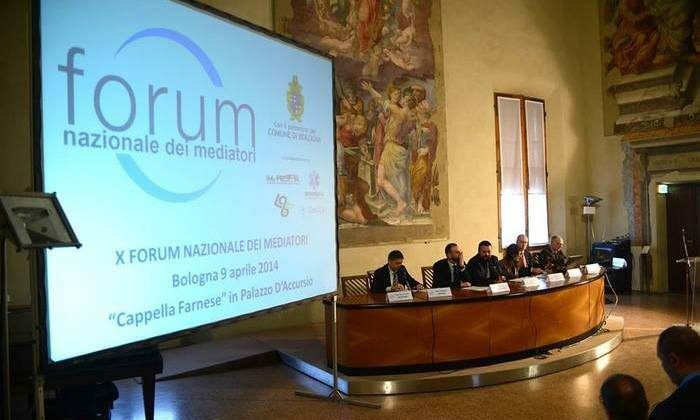 “In recent years we have seen how a culture of conflict has spread, rather than one of peaceful confrontation,” says attorney Irene Gionfriddo, spokesman for the Italian Forum of Ombudsmen, a non-profit organization that links a network of lawyers with private companies. “The role of a mediator is primarily preventive and can avoid conflicts, because of legal, social, and pedagogical skills,”Gionfriddo pointed out. “It is not the mediator who gives the solution to the case, instead he or she can foster a climate of dialogue, [so that] the parties may have discussions with different points of view, to finally come to an agreement,” she continued. An example: before you face off in court in a case of inheritance, two brothers could sit in front of a mediator, saving time, money, and perhaps they could also continue talking in the future. It’s not only a social matter. Being able to simplify the Italian justice machine can bring a big difference. According to the National Bank of Italy, “the annual GDP loss may be around 1 per cent, due to the defects of our civil justice system”. That’s about 20 billion euro. According to attorney Francesca Tempesta – vicepresident of Italian ADR (Alternative Dispute Resolution) Observatory – mediation brings better guarantees. “Let us take one of the most critical aspects nowadays: debt collection. A company waiting to get back 1,000 euro thanks to the intervention of the mediator, will accept 800 euro in a few months.” It is a preferable solution rather than having a dispute, and seeing the money vanishing in a lawyer’s parcel. Plus wasting time, and having to relinquish anger. It is no coincidence that foreign investments in Italy are being affected. According to the socio-economic think tank Censis, they have fallen by 58 per cent since 2007 – the year before the world crisis. One of the reasons is a perception of inefficient economic structure linked to “widespread corruption, political scandals, the pervasiveness of organized crime, slowness of civil justice, cumbersome laws and regulations,” the organization said in its annual 2014 report. Companies and professional workers will not only be able to contact ‘SOS Media’ to resolve a conflict, they will also receive assistance to add ‘mediation clauses’ in contracts ready to be signed, says the website of ADR Observatory, which also promises an app for smartphones and tablets, aimed at a Europe-wide distribution. The goal is to standardize the service with countries such as France and England, where mediation is already a reality for many years. Read the original Italian article here.